Teresa Easler has coached thousands to develop the skills they need to be powerful communicators and successful business leaders. The Power to Connect™ our world and everyone in it is being bonbarded every day with more information than at any other time in history. There’s the Internet, radio, TV, print, social media as well as our ever increasing workloads. On top of that we have less and less time to evaluate, filter, accept or dismiss the information we receive. And, in the center of this tornado of stuff, we’re trying to communicate. What chance do we have? How can we break through the clutter, to deliver our message? 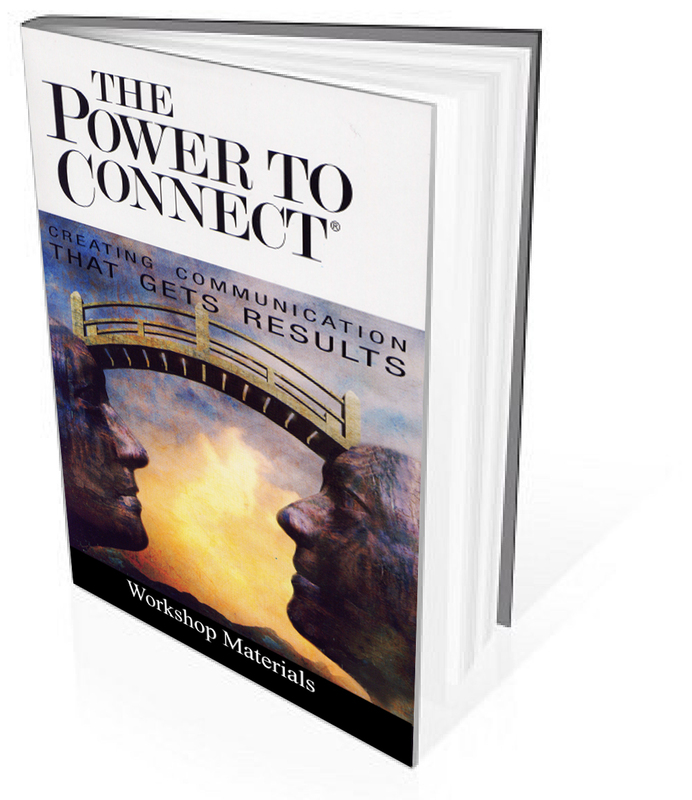 The Power to Connect™ provides a clear and concise strategy to do just that. It provides an insightful look at the human communication condition and brings together the knowledge gained from over 30 years of designing and delivering effective, results-driven communication.